When searching Feedback, make sure you use as many words as adequately describe the issue. That will result in a higher probability of finding the case if it's already been reported. Duplicate reports slow down our ability to fix bugs and such so finding an existing report rather than creating a new one helps everyone. 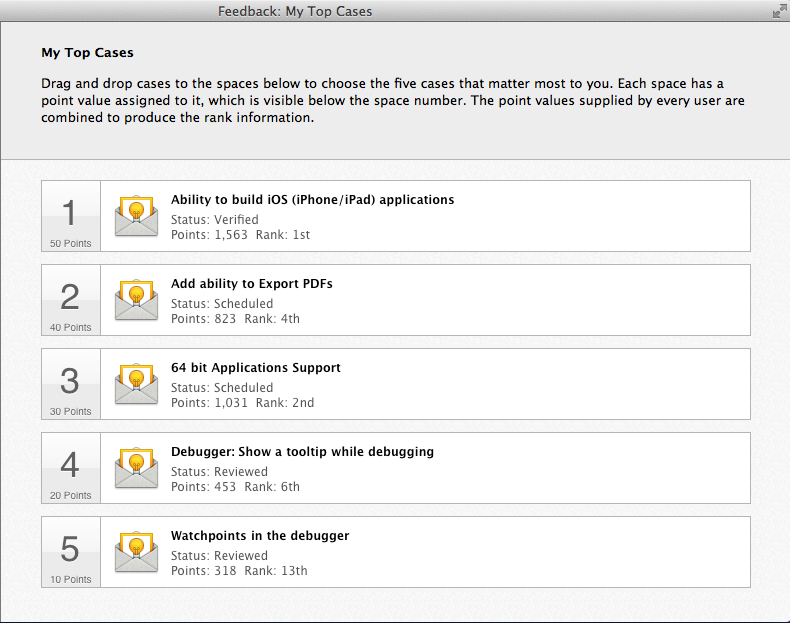 Feedback Rank plays a big part in how we prioritize what bugs to fix and what features to implement in Real Studio. This list is your opportunity to tell us which bugs and feature requests are most important to you. Remember to review your Top Cases in Feedback from time to time to make sure that the list is up to date. Some of the items in your list may have been fixed or closed. In those cases, you'd want to replace them with other unresolved cases that are important to you. For the most part, we fix bugs and implement features based on the impact the case has on the user community as a whole. If you find that a case is not being addressed (perhaps it's impacting you, but may not be effecting many other users), contact us. 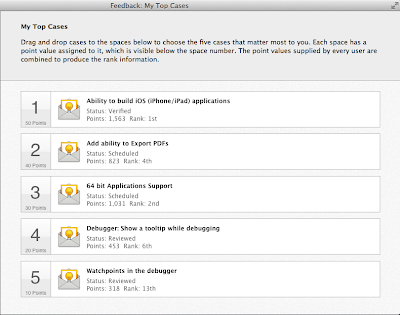 You can find more Feedback Hints & Tips here.